When we care for other people and listen carefully to their needs and aspirations, then we will naturally begin to pray for them. “Praying for you” simply encourages us to TELL people we are praying for them and INVITE them to suggest subjects for prayer. 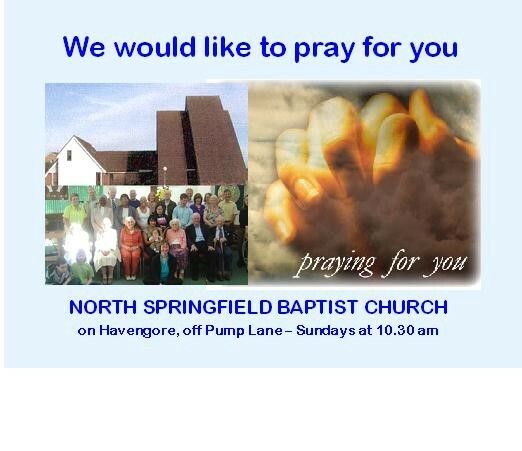 We can by pray for specific individuals, peer groups or geographical groups (my road). 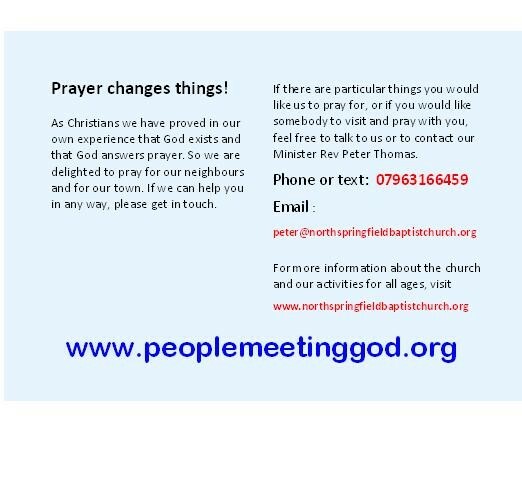 As we pray for these folks we give them a postcard like the one below to tell them we are praying for them and invite them to suggest subjects for prayer. Nobody can object when we offer to pray for them, if we do it with sensitivity, humility and genuine love! “Praying for you” involves much more than praying, of course. As we pray for friends and neighbours God will also lead us to show his love for them in everyday practical ways. “Praying for you” does not replace witnessing for Christ. It is something we do alongside our witness.